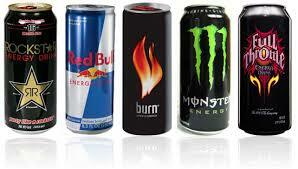 Energy drinks have been with us for nearly 20 years and come in a vareity of shapes, sizes and concentrations. Energy drink companies target children and teens under the age of 18. College students also use a high amount of energy drinks. The flavours they use make them more attractive to these age groups. However, energy drinks can cause harmful health issues. L-carnitine l-tartrate (LCLT). A supplement used to increase energy, memory, and speed. It is also used to break down fat. These are not always harmful by themselves, but when combined together with caffeine, they can cause health issues. A big problem with energy drinks is that there is little control meaning that a lot of the ingredients have not been tested properly. Soft drinks have about 30 milligrams (mg) of caffeine per serving. Coffee has about 100 mg of caffeine per cup. Energy drinks can have anywhere from 100 to 250 mg of caffeine per serving. Energy drink companies don’t help. Their advertising can be forceful and dishonest. Some ads promise that energy drinks make you popular. For instance, Red Bull says their drink “gives you wings.” Rockstar invites users to “party like a rockstar.” Amp suggests that it is “energy you need, flavours you crave.” These claims make energy drinks seem safe, stylish, and real. Children tend to be more sensitive to caffeine. It can be harmful to their growth. People who have heart conditions or asthma also are at greater risk. You should be aware of these risks and talk to your children about them. Promote a healthy diet with regular sleep and exercise. People who do this should have enough natural energy.